Wednesday, June 7, 10:00-11:15 a.m. Cemeteries are depositories of our ancestors—the men and women who shaped the evolution of our current times. Pioneers, politicians, soldiers, the rich and poor, doctors, shopkeepers, industry titans, suffragettes, and former slaves—44,000 unique individuals lay at rest in Beech Grove Cemetery. Those buried there represent the movers and shakers of Muncie, the men and women who shaped the city from an agricultural backwater, to a regional manufacturing capital of the industrial revolution, and have helped guide it after industry left. Beech Grove Cemetery also serves as a valuable resource for genealogists, historians, students of architecture and landscape design, photographers, and the general public. 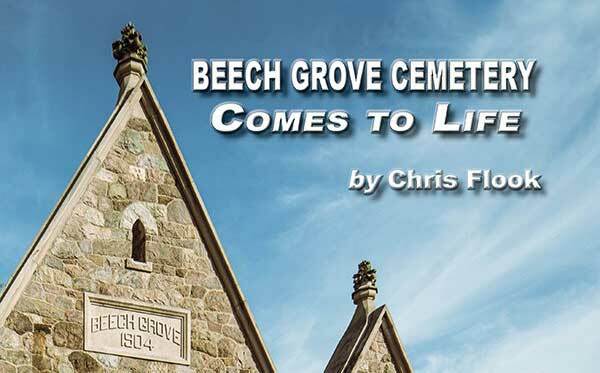 Mr. Flook will discuss his latest book that examines the history and evolution of Beech Grove Cemetery, as well as the lives of those buried there. Refreshments and book signing to follow program.